En Masse Entertainments latest update to their action-MMORPG TERA is now live: Counterpunch! With it comes a highly-anticipated addition to the game in Male Brawlers. Once restricted to just female humans, these new brawlers come with unique animations but with the same great power and flavor. But what is a new take on a class without new content to conquer and opponents to defeat and boast about? The Counterpunch update also brings back the popular Ruinous Manor dungeon, a fever-dream version of Lilith’s Keep, in both normal and hard difficulties. The dungeon has been re-balanced and improved for the current levels of gear in the game after a short hiatus. PVP fans won’t have to fret either, with newly introduced Battleground Leaderboards. Fraywind Canyon, Corsairs’ Stronghold, and Champions’ Skyring each have their own leaderboard and will allow players to see who is truly the greatest of them all. 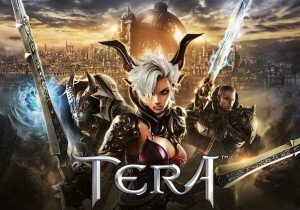 March 13 – March 20: The TERA team has increased the total number of available character slots to 19 with this update. Log in during launch week to earn a character slot unlock a coupon for free! March 13 – April 10: Male brawlers created that reach level 15 during this time will receive one free ‘level up box’ per server. The box will contain helpful items for new brawlers including experience boosts, elite status vouchers, free mounts and more! March 17 – March 18: Log in during the Weekend Warriors Event and play for three hours or more for a free special lootbox containing a shot at the rare Royal Ghost Dragon or Azure Phoenix mounts (and more!) That’s it, no strings attached! March 24 – March 25: Weekend Warriors returns! Another free lootbox and chance at rare mounts and goodies await players for simply for playing three hours, for a one-two combo! KOG Games announced that the PVP League 1 has begun for Elsword, which is an international 2v2 PVP series.